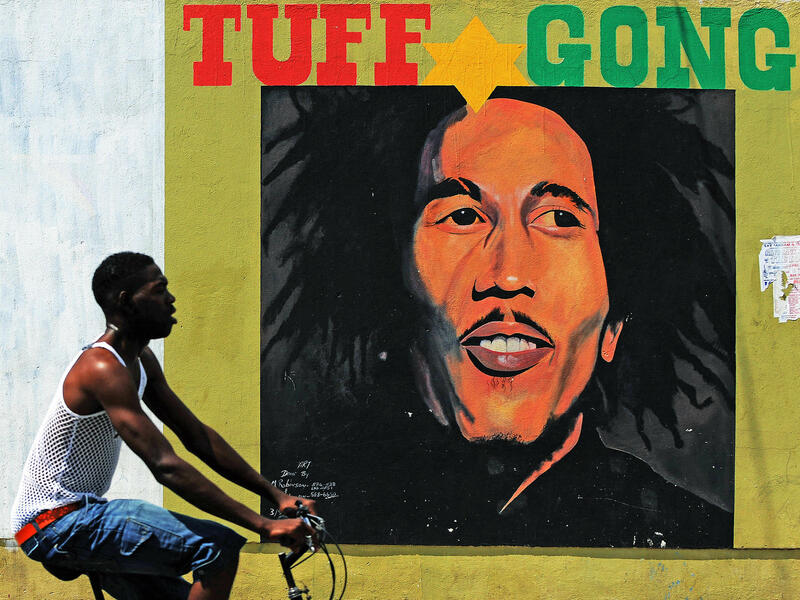 A man pedals past a mural of late musician Bob Marley in Kingston, Jamaica in 2009. On Thursday, reggae was "inscripted," as the UNESCO term goes, to the "Representative List of the Intangible Cultural Heritage of Humanity," joining more than 300 other traditional practices worldwide on the U.N. agency's list. "Its contribution to international discourse on issues of injustice, resistance, love and humanity underscores the dynamics of the element as being at once cerebral, socio-political, sensual and spiritual," UNESCO said in a statement. "The basic social functions of the music — as a vehicle for social commentary, a cathartic practice, and a means of praising God — have not changed, and the music continues to act as a voice for all." UNESCO enlarges its list annually; dozens of musical, dance and theater styles have already been included, though possibly none so well-known, or commercially popular worldwide, as reggae. Among other traditions newly added to the UNESCO list this year are wrestling from the country of Georgia, hurling in Ireland, Japanese raiho-shin rituals, spring festival rites among the horse breeders of Kazakhstan and as-samer dancing in Jordan.